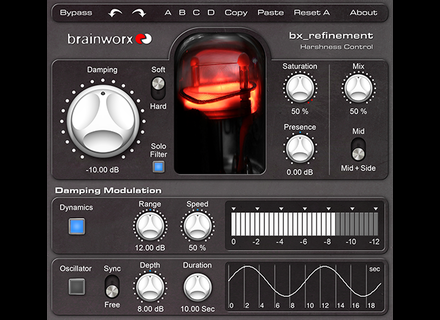 Brainworx adds a native version to its bx_saturator 2 and bx_refinement plug-ins, which were already available for Universal Audio devices. Following the version for the Universal Audio UAD-2 cards and Apollo audio interfaces (in UAD Software v7.6), Brainworx releases a native edition of its new plug-ins. The bx_saturator 2 has an entirely revamped processing algorithm that generates less aliasing, improves performance and this new version is now available in AAX DSP format, along with the AAX native, AudioSuite, Audio Unit, VST2/3 and RTAS on Mac OS X and Windows 32 and 64-bit. Note that both versions of the plug-in can be used together on your computer, but bx_saturator v1 won’t be updated anymore. bx_refinement is designed to remove the harshness of your recording. The plug-in is based on a Mid/Side processing and will eliminate undesired high frequencies from mixes and masters, for an “analog tube-like” classic sound. You can also add saturation and presence to enhance your tracks and a Solo feature will help you listen exactly what was removed from the recordings. 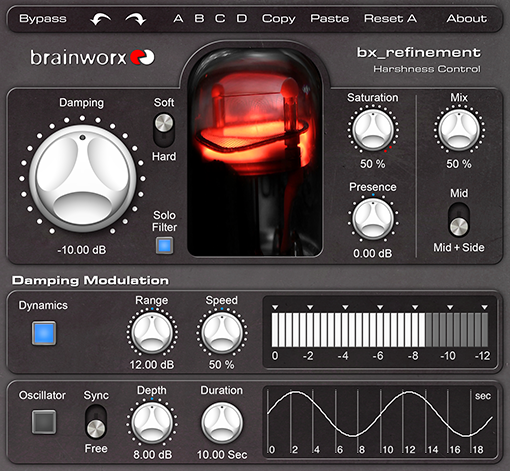 The bx_refinement is a VST2/3, AU, AudioSuite, RTAS and AAX native/DSP plug-in for Mac and PC in both 32 and 64-bit. Both have a price of $199 and are available at Plugin Alliance. Perception helps you find the sweet spot Ian Shepherd partnered with MeterPlugs to design a plug-in that helps you find the right balanced between dynamics and loudness. Antares Audio launches Auto-Tune EFX 3 The new version of the Antares Auto-Tune EFX low-budget vocal processor and pitch shifter adds two important features.